Happy New Year to you all! Hope you had a nice holiday period. Registration for the IUSC 2018 Winter Season is open through Friday, Jan. 11. We will offer Open, Coed and Over-30 leagues. Team fee is $1,000. You can send along a request for which Coed division you want to be in, but please remember that IUSC has the final say on classification to maintain competitive balance for the overall best interest of teams and the league as a whole. Games are 7-on-7 with two 25-minute halves and at least two women (or men) on the field at all times for Coed and Over-30. Each team will get 10 games starting from Jan. 23 to April 14. * SPRING BREAKS! A lot of different schools have different breaks, so spell out which ones need to be avoided for your team. * Open Schedule: Primary match days will be in the 6, 7, 8 range on Saturdays. We will have to play it by ear depending on how many teams we get. * Over-30 Schedule: Primary match times are 7 or 8 p.m. on Sundays and secondary match times are 7 or 8 p.m. Thursdays and 9 p.m. Sundays. * Coed Schedule: Primary match times are 9 p.m. from Sundays to Thursdays. There might be a couple earlier starts (7 or 8 p.m.) and a few later starts (10 p.m.), We’ll have to wait and see as the facility finalizes field availability as we get closer to the end of registration. We wish everyone Happy Holidays. The Holiday league is progressing really well. The scores have all been updated. We’ll have info on Winter Season Registration shortly. The City of Ithaca/ Cass Park management have asked us (actually instructed us ) to cancel all games scheduled at Cass Park tomorrow Saturday Oct 27. The fields at Cass Park are already in bad shape and with the expected 1 inch of rain Saturday, the Cass fields will be totally unplayable. So there will be no games at Cass Park Saturday. We’ll be moving all games scheduled on Cass Field 3B to Buttermilk field and all games scheduled for Cass 2 will be re-scheduled. We were unable on short notice to secure IHS turf field for games scheduled on Cass 2. So please inform your players that all games scheduled on Cass 3B Saturday will be played at Buttermilk, and the games on Cass 2 will be rescheduled. The El Nino phenomenon and changing climate are combining to wreak havoc on our Fall season. We’ll do our best to wrap up the Fall season and move indoors. Remember to sign up for the indoor league if you have not already done so. The O-30 & open division championship games are scheduled for next Sunday Aug 19. Stay tuned for Fall Season registration info. Stay tuned for registration info for the Fall League. Registration for the IUSC 2018 Summer Season is open through Thursday, May 24. We will offer Open, Coed and Over-30 leagues. Team fee is $900 for Coed, $400 for Over-30 and $450 for Open. You can send along a request for which Coed division you want to be in, but please remember that IUSC has the final say on classification to maintain competitive balance for the best interest of teams and the league as a whole. Open will continue to be 7-on-7 and played on the smaller fields at Cass Park that are traditionally used for Over-30 — two 25-minutes halves with most games on Sundays. Coed remains on the full field under the same format, with the majority of games on Saturdays. Each team will get 10 games starting as early as June 2 and running until mid-August. * Fourth of July: It’s a weird year with July 4 falling on a Wednesday. So I will not be scheduling any games mid-week, but I *will* assume your team is available both the weekend before and the weekend after unless you specify otherwise. * Coed Schedule: Primary match times are 10 a.m. to 5 p.m. on Saturdays, with secondary start times being at 6 p.m. Monday through Thursday. * Open Schedule: Primary match times are likely to be mid-afternoon on Sundays. Secondary start times are 6 p.m. or 7 p.m. Tuesday through Thursday. * Over-30 Schedule: Primary match times are 10 a.m. to 1 p.m. on Sundays and secondary match times are 6 or 7 p.m. Tuesdays through Thursdays. Let us know asap if your team is in for the Guthrie. The Guthrie is sponsored by Buffalo Wild Wings Ithaca. We’ll gather there before & after the tournament. Soccer Fiesta !!! Fiesta de Futbol !!! Football Fiesta !!! Place: Cass Park Field 2 & 5, Ithaca NY (on Rt. 89 by the lake). Team Fee: $200 – Guaranteed minimum 3 games. Registration Deadline Wed May 16th for the tournament. Let us know sooner. The Guthrie Tournament, now in its 21st year, is Ithaca’s ultimate soccer fiesta uniquely blending competitive and fun soccer games of all skill levels with plenty of refreshments and music. It is our chance to leave the winter behind, get outside, and play the beautiful game. The tournament started in 1998 in memory of Gordon Campbell, a longtime resident of Dryden, who died unexpectedly in the fall of 1997. In celebration of his contributions to soccer as a coach, referee, soccer dad, player, team captain, advocate, and organizer, and to promote the beautiful game in Central NY, the IUSC requests club members, teams and unattached soccer players to join us for this very special event. Háganos saber lo antes posible si su equipo está listo para el Guthrie. The Guthrie es patrocinado por Buffalo Wild Wings. Nos reuniremos allí antes y después del torneo. Fiesta de fútbol !!! Fiesta de Futbol !!! Fiesta de fútbol !!! Lugar: Cass Park Field 2 y 5, Ithaca NY (en la ruta 89 en el lago). Tarifa del equipo: $ 200 – Mínimo de 3 juegos garantizados. Fecha límite de inscripción el 16 de mayo para el torneo. Háganos saber antes. El Torneo Guthrie, ahora en su vigésimo primer año, es la última fiesta futbolística de Ítaca que combina juegos de fútbol competitivos y divertidos de todos los niveles con muchos refrescos y música. Es nuestra oportunidad de dejar atrás el invierno, salir y jugar el hermoso juego. El torneo comenzó en 1998 en memoria de Gordon Campbell, residente desde hace mucho tiempo de Dryden, quien murió inesperadamente en el otoño de 1997. En celebración de sus contribuciones al fútbol como entrenador, árbitro, padre de fútbol, ​​jugador, capitán del equipo, defensor, y organizador, y para promover el hermoso juego en el centro de Nueva York, el IUSC solicita a los miembros del club, equipos y jugadores de fútbol no asociados que se unan a nosotros para este evento tan especial. The Bankers Cup is back! 1-day 7v7 Indoor Tournament @ The Field/Rink (East Shore Drive, Ithaca NY). Trophy, prizes, food, music & drinks. 3 games guaranteed. Email ithaca.united.soccer@gmail.com or call/text 607-339-1988 to sign up your team. Registration fee is $200. The Bankers Cup was the first tournament IUSC organized at its inception in the 1980s. With support from the Tompkins Trust Company (one of the original & still thriving bank sponsors), we’re bringing the Bankers Cup tournament back. ¡La Copa de los banqueros está de vuelta! Torneo indoor 7 días 7 días en el campo / pista (East Shore Drive). Trofeo, premios, comida, música y bebidas. 3 juegos garantizados. Envíe un correo electrónico a ithaca.united.soccer@gmail.com o llame / envíe un mensaje de texto al 607-339-1988 para inscribir a su equipo. La cuota de inscripción es de $ 200. La Copa de los Banqueros fue el primer torneo organizado por IUSC en su inicio en la década de 1980. Con el apoyo de Tompkins Trust Company (uno de los patrocinadores originales y aún prósperos de los bancos), recuperamos el torneo de la Copa Bankers. We’ve updated the winter season scores and standings. The rest of the season schedule has also be posted. Thanks for your patience. The Holiday Season Futsal league is drawing to a close. A new futsal season will begin shortly. Let us know asap if your team wants in on the new futsal session. It’s fun & family friendly. We hope your holiday league seasons are going well. Our preparations for the next season are in full swing, so …. Registration for the IUSC 2018 Winter Season is open through Wednesday, Jan. 11. We will offer Open, Coed and Over-30 leagues. Team fee is $1,000. You can send along a request for which Coed division you want to be in, but please remember that IUSC has the final say on classification to maintain competitive balance for the overall best interest of teams and the league as a whole. Games are 7-on-7 with two 25-minute halves and at least two women (or men) on the field at all times for Coed and Over-30. Each team will get 10 games starting from Jan. 24 to April 15. * Open Schedule: Primary match days will be in the 5, 6, 7 range on Saturdays. We will have to play it by ear depending on how many teams we get. * Over-30 Schedule: Primary match times are 7 or 8 p.m. on Sundays and secondary match times are 7 or 8 p.m. Thursdays and 9 p.m. Sundays. * Coed Schedule: Primary match times are 9 p.m. from Sundays to Thursdays. There might be a couple earlier starts (7 or 8 p.m.) and a few later starts (10 p.m.) We’ll have to wait and see as the facility finalizes field availability as we get closer to the end of registration. Registration for the Futsal league is open and will close on Friday, Nov. 10. We’ll be using Boynton Middle School (and sometimes ACS) gym. Team fee is $300 (no change from last year). Games are 5-on-5 with two 25-minute halves and at least one woman (or man) on the court (gym) during the game. A player can be on the roster of two teams only. Time to show your ball control skills and ability to play in tight situations! Registration for the 2017-18 season is open and will close on Friday, Nov. 3. We will have Coed and Over-30 leagues. Team fee is $1,000. You can send along a request for which Coed division you want to be in, but please remember that IUSC has the final say on classification to stay in line with the best interest for teams as a whole. Games are 7-on-7 with two 25-minute halves and at least two women (or men) on the field at all times. The season will start Sunday, Nov. 12 and run through Sunday, Jan. 21. Holiday windows are automatically blacked out for Nov. 21-25 and Dec. 22 to Jan. 1 … BUT, if you’d like to play games in the stretch of Dec. 26-28, let us know and we’ll use the dates if other teams are also available. * Secondary match times are 7 or 8 p.m. Thursdays (Nov. 16, Nov. 30, Dec. 7, Dec. 14, Dec. 21, Jan. 4, Jan. 11, Jan. 18). * There’s an off chance I’ll need to mix in 9 p.m. Tuesdays, depending on how many teams we get. Registration for the IUSC 2017 Fall League is open through Monday, Aug. 28. We will offer Open, Coed and Over-30 leagues. Team fee is $1,000 for Coed, $500 for Over-30 and $500 for Open. You can send along a request for which Coed division you want to be in, but please remember that IUSC has the final say on classification to maintain competitive balance for the overall best interest of teams and the league as a whole. Just as we did for the summer, Open is now 7-on-7 and will be played on the smaller fields at Cass Park and Union Field that are traditionally used for Over-30 — two 25-minutes halves with most games on Sundays. Coed remains on the full field under the same format, with the majority of games on Saturdays. Each team will get 10 games starting as early as Wednesday, Sept. 6 and running until Oct. 29. In all divisions, there will be some form of playoffs … though we will have to look at the team registry upon completion to figure out what the best option is. Teams are assumed to be available for any match date listed below unless otherwise specified. As you know, I will accommodate any reasonable scheduling limitations, but you have to let me know before I write the schedule. Once the schedule is posted, it is final! We do not reschedule any games for any reason other than weather-related field concerns, so get with your teams ahead of time and figure out if there are particularly problematic dates. Some things to consider are Porchfest (Sept. 24) and Columbus Day weekend/Cornell Fall Break (Oct. 6-10). Again, registration will end Monday, Aug. 28. My plan is to distribute PDFs of the schedule to captains by Friday, Sept. 1 (with an earlier heads-up to any teams scheduled to play Sept. 6 or Sept. 7). You can find the schedule on the website soon thereafter. 1. Remember this is a recreational league for fun & fitness. Yes, it can be competitive, but it isn’t the World Cup. Let’s keep it safe, and as much as possible minimize injuries while playing the game we all love. Remember referees are humans and can or do sometimes make mistakes. This should not prevent you from enjoying the game. Let’s keep it respectful. Our league is family-friendly. 2. Both Buttermilk & Cass Park have a “Trash-in-Trash-out” Policy, and they expect us to clean up after our games. So do take a moment to tidy up after your team’s game. Help keep the parks clean and assist us in maintaining good relations with the city & state parks where we play. 3. If you have not already done so, bring your registration fee to your next game, or mail a check to 1583 Mecklenburg Rd, Ithaca NY 14850. Check should be made out to IUSC. Thanks for your attention to these matters, and most importantly thanks for signing up and playing in the IUSC league. Have a fantastic summer. See you all on the pitch. Registration for the IUSC 2017 Summer Season is open through Wednesday, May 31. We will offer Open, Coed and Over-30 leagues. Team fee is $900 for Coed, $400 for Over-30 and $450 for Open. You can send along a request for which Coed division you want to be in, but please remember that IUSC has the final say on classification to maintain competitive balance for the overall best interest of teams and the league as a whole. New for this year: Open is 7-on-7 and will be played on the smaller fields at Cass Park that are traditionally used for Over-30 — two 25-minutes halves with most games on Sundays. Coed remains on the full field under the same format, with the majority of games on Saturdays. Each team will get 10 games starting as early as June 3 and running until mid-August. * June 3-4: I’m the first to admit we’re behind schedule with opening registration, so I don’t think it’s fair of me to schedule anyone for Saturday, June 3 or Sunday, June 4 unless you agree to it ahead of time. So if you’ll have your teams ready to go and can accommodate late notice (no later than June 1), please let me know. * Fourth of July: I will not schedule any games for any divisions from July 1-5. If your teams’ holidays extend beyond those dates, please specify. We had a fantastic coed tournament last weekend. This coming weekend is the Guthrie Open Tournament. 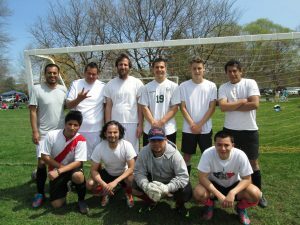 It’s not too late to sign up for the open tournament this weekend, May 20-21 @ Cass Park. Let us know if your team is in. Thanks to all the teams that signed up for the coed Guthrie Tournament this weekend. We look forward to seeing you all at Cass Park Saturday & Sunday and having a fun tournament. The schedule has been sent to all the teams. For individual players wishing to play, just show up at Cass Park or contact any of the registered teams for the tournament. I regret to inform you all that the Guthrie coed tournament scheduled for May 6-7 has now been moved to the weekend of May 13-14. This decision is due largely to the weather (heavy rains) which has rendered the fields at Cass Park unplayable for the tournament. Please notify your players that the Guthrie coed tournament will not be happening this weekend. If you haven’t already gotten back to me, do advise whether your team would still be available to play next weekend. Thanks for your understanding. We regret any inconvenience this decision may cause. For teams that were not going to take part this weekend, let us know if you want your team included for next week. We look forward to seeing you all play in the Guthrie next week. Registration Deadline Wed May 3rd for the coed tournament. Let us know sooner. The Guthrie Tournament, now in its 20th year, is Ithaca’s ultimate soccer fiesta uniquely blending competitive and fun soccer games of all skill levels with plenty of refreshments and music. It is our chance to leave the winter behind, get outside, and play the beautiful game. The tournament started in 1998 in memory of Gordon Campbell, a longtime resident of Dryden, who died unexpectedly in the fall of 1997. In celebration of his contributions to soccer as a coach, referee, soccer dad, player, team captain, advocate, and organizer, and to promote the beautiful game in Central NY, the IUSC requests club members, teams and unattached soccer players to join us for this very special event. The winter season schedule is now posted. Scores and standings will be updated shortly. Here’s the futsal playoff schedule. Let us know if your team is in for the next Futsal session starting on February 19. Registration for the IUSC 2017 Winter Season is open through Tuesday, Jan. 10. We will offer Open, Coed and Over-30 leagues. Team fee is $1,000. You can send along a request for which Coed division you want to be in, but please remember that IUSC has the final say on classification to maintain competitive balance for the overall best interest of teams and the league as a whole. Games are 7-on-7 with two 25-minute halves and at least two women (or men) on the field at all times for Coed and Over-30. Each team will get 10 games starting from Jan. 25 to April 16. * Over-30 Schedule: Primary match times are 7 or 8 p.m. on Sundays and secondary match times are 7 or 8 p.m. Thursdays and 9 p.m. Sundays. Note: 4-9 p.m. Saturdays MIGHT be available if teams declare availability for those time slots. * Coed Schedule: Primary match times are 7, 8 and 9 p.m. on Thursdays, and 9 p.m. on Sundays, Mondays and Wednesdays. Secondary start times would be 10 p.m. on Sundays, Mondays, Wednesdays or Thursdays. Note: 4-9 p.m. Saturdays MIGHT be available if teams declare availability for those time slots. * Open Schedule: Primary match times are 4-9 p.m. Saturdays. There’s also a chance we’ll have to use 10 p.m. on Wednesdays. We are deeply saddened by the news of a plane crash in Columbia that has claimed the lives of Brazil’s Associação Chapecoense de Futebol (soccer) team players & officials. IUSC joins the rest of the international soccer community in mourning the tragic and untimely loss of these soccer players. For a small club that has made tremendous progress in recent years, this tragedy is a devastating blow. Our thoughts and prayers are with the six survivors of the crash, and the families & friends of the 75 players & officials who perished. Our heartfelt condolences go to the fans of Associação Chapecoense de Futebol and the Confederação Brasileira de Futebol (Brazilian Football Federation). IUSC plans to hold a fundraiser and donate the proceeds to Chapecoense to help the team rebuild. 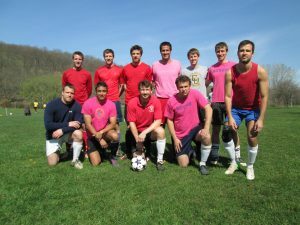 For your information, the full schedule of games for the Holiday League has been posted on this site, ithacasoccer.com. You can now find your team’s schedule for the entire Holiday season. If you have any questions, let us know. Enjoy the Holiday league.